Studiocanal has released the international trailer for the upcoming animated film Playmobil: The Movie, highlighting Marla’s action-packed quest in finding her younger brother Charlie through the Playmobil universe. Based on the popular German toyline, you can check out the video on the player below. After Charlie (Gabriel Bateman) disappears into the Playmobil universe, his sister, Marla (Anya Taylor-Joy), sets out to find him. During her adventures, she teams up with some unlikely new friends, including smooth-talking food truck driver Del (Jim Gaffigan), dashing and charismatic secret agent Rex Dasher (Daniel Radcliffe), a wholehearted misfit robot and an extravagant fairy-godmother (Meghan Trainor). Adam Lambert will voice the character of villain Emperor Maximus. Blaise Hemingway, also from Disney, wrote the screenplay together with Greg Erb and Jason Oremland. The head of animation is Julien Bocabeille who is known as the animator on The Boss Baby and Kung Fu Panda 3. Aton Soumache, Dimitri Rassam, Emmanuel Jacomet, Alexis Vonarb and Oliver Stone regular Moritz Borman serve as producers who have also the same producers who have worked on The Little Prince. Playmobil: The Movie was developed in cooperation with Pathé France and will be sold internationally by Lionsgate and Wild Bunch. STX Films has successfully acquired the U.S. theatrical distribution rights of the animated film which was originally supposed to be handled by Open Road but fell through due to Global Road’s bankruptcy. The U.S. release date for Playmobil: The Movie hasn’t been announced yet but it is scheduled to premiere this August 9 in the UK. 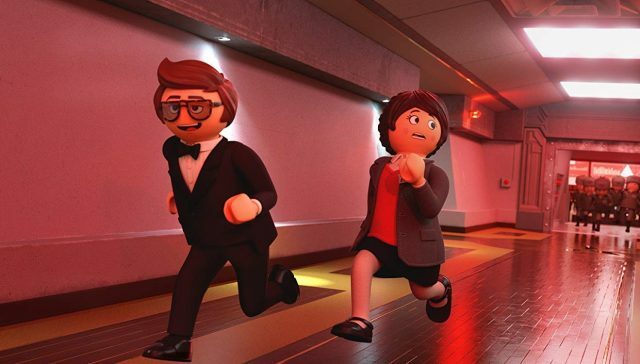 The post Let Adventure Lead You Home in International Playmobil: The Movie Trailer appeared first on ComingSoon.net.